Several business segments exist at Rickenbacker, all operated or administered by the Columbus Regional Airport Authority. 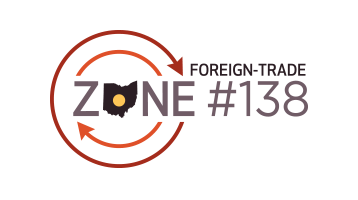 Foreign-Trade Zone 138 is a top 10 foreign trade zone in the value of goods admitted into the United States. It encompasses Rickenbacker International Airport, surrounding industrial parks and a 25-county service area in Central Ohio. The zone helps business, defer, reduce or eliminate U.S. Customs import duties. Rickenbacker International Airport (LCK) is one of just a few cargo-dedicated airports in the world providing domestic and international air cargo service in the Columbus Region. Additionally, scheduled passenger service by Allegiant Airlines and passenger charters operate from the Rickenbacker Passenger Terminal. This fixed-base operator (FBO) offers fueling and a variety of customized services for Rickenbacker International Airport’s commercial, corporate, general aviation and military customers.